Societies all over the world are experiencing spiralling inequality, led by countries such as the US and Britain, which reached their high-water mark of equality in the 1970s, only to head firmly and swiftly in the opposite direction ever since. They relaxed the controls over corporations and high finance, allowing the rich to become super-rich without caring about their impact on the poor or the planet – and ultimately plunged the whole world into economic crisis. But it does not have to be that way. 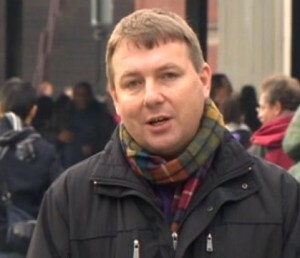 Danny Dorling is Professor of Human Geography at Sheffield University and an Academician of the Academy of the Learned Societies in the Social Sciences. His work concerns issues of housing, health, employment, education and poverty, concentrating on social and spatial inequalities to life chances both in Britain and further afield, and he has published more than a dozen books on issues relating to social inequalities. He will look at countries that have bucked the trend towards greater inequality and market mayhem and will propose some key ways in which we can restore levels of greater equality that would sustain us all. Café Diplo is a forum for debate on contemporary international issues, held on selected evenings at the Gallery. The Cafe talks are given by invited speakers and start at 18:45 and end around 20:30 giving plenty of time for questions and lively audience participation. Tickets on the door.